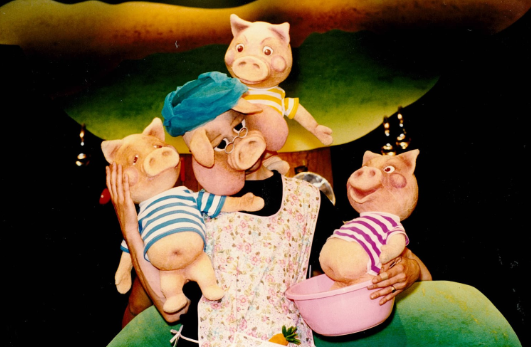 Based on the 3 Little Pigs story. 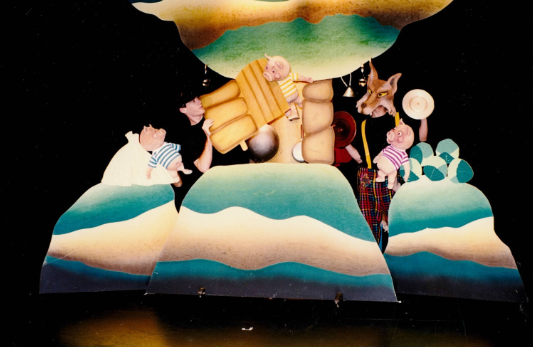 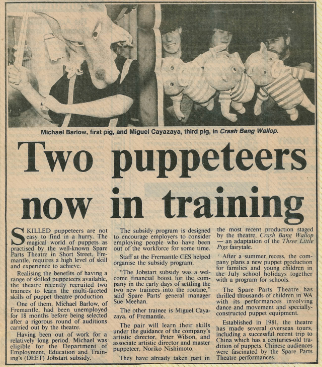 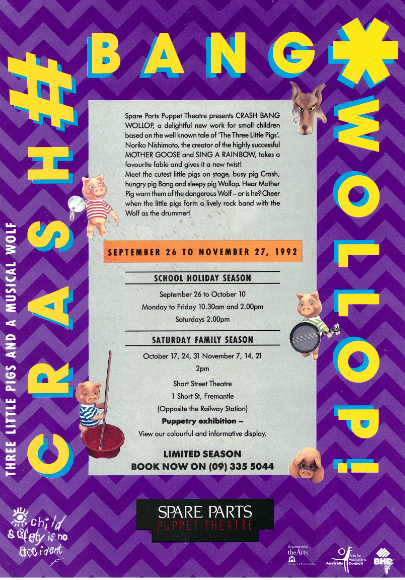 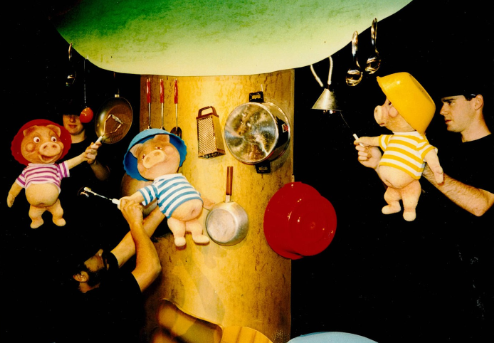 Meet the cutest little pigs on stage- busy pig Crash, hungry pig Bang and sleepy pig Wollop. 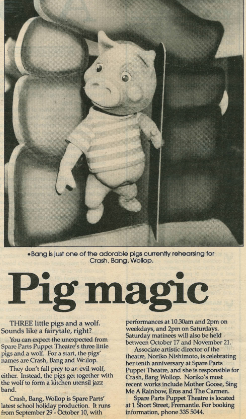 Hear Mother Pig warn them of the dangerous wolf- or is he? 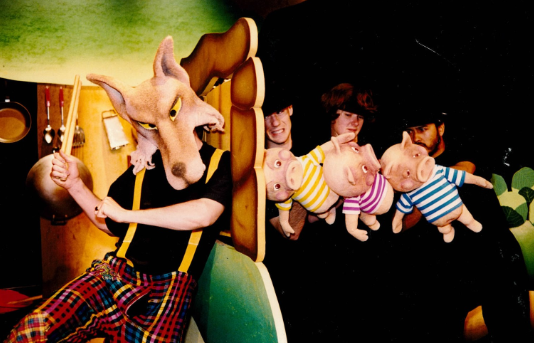 Cheer when the little pigs form a lively rock band with the Wolf as the drummer! 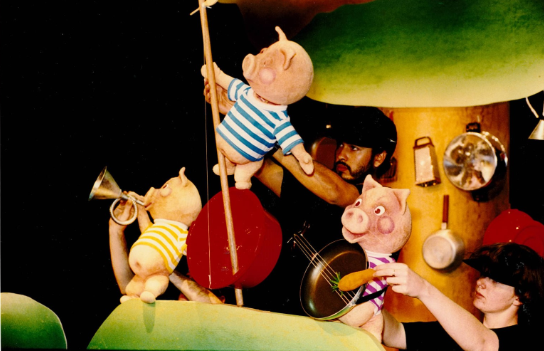 "A lively, comic version of the three little pigs story."